Today I've got something really different for you. A review for a whole box of chocolates! This is the Valrhona gift box. Ok, technically this is the Valrhona Ballotin Box 36 Bonbons Gift. It's an assorted box of chocolates from a French boutique chocolatier. As far as I can tell Valrhona specializes in ganache, which is a chocolate and cream mixture that you sometimes see as filling on these kind of bonbons and is, of course, absolutely delicious. Let's have a look at these chocolates. The packaging is very nice, sheik, black and stylish on the outside. Looking inside we get bright and shiny gold. This gold wonderfully reflects the chocolates, and collects light giving a warmth and sense of size to the inside of the chocolate box. I really love how nice the packaging is here. Unfortunately there aren't any dividers for the chocolates themselves, Since the bunching up that you can see in the picture below takes a little away from the initial splendor, but that's a rather small trifle overall. The box has 3 layers, with 36 chocolates total. According to the website, these chocolates are ganache-filled, they are also noted as different though, with a few specific flavors including jasmine, orange, praline,and almonds. Oddly the site only has 7 different chocolates listed on it and the box obviously has more than that in it. Now's probably the time to explain how I'm intending to do this review. Of course I'm not planning on sampling every kind of chocolate in this box, so instead I think I'll just treat this as I would any regular box of chocolates. Especially since there's no guidemap to the various flavors here, my plan is to sample at random 3 different chocolates from the box. Maybe I won't pick the best 3 chocolates, but I probably wont pick the worst... and lets be sensible here, these chocolates are going to be pretty good overall. the next chocolate is the nut one. I don't know what its called really but every chocolate box has at least one or two bonbons with the crumbled nut in chocolate deal going on. I believe in this case we're dealing with almond. biting into the chocolate again reveals the same ganache mixture, and confirms the almond. This one is about texture and so far these Valrhona's are firing on all cylinders. The nuts add a nice body to the experience. Finally we get the stick looking chocolate. This ins;t one I usually go for in a box of chocolates. The stick shaped chocolates often hide hard toffee or general weirdness. Since my preferences usually lean towards cream fillings I aim for ovals, but I'd like to find something different if I can... and it looks like I've hit paydirt. The chocolate is filled with... well it tastes like marzipan, but I don't think that's actually it. I suspect this is an almond flavored ganache, that only resembles marzipan. If it actually is marzipan its got a bit more viscosity than I'm used to tasting. But in terms of flavor the almond is unmistakable. I am not a personal fan of marzipan. BUT I don't hate it, I just don't ever seek it out, and any more than a little does turn me off. This is only a little though, and it manages to mesh very well with the chocolate exterior of the bonbon. I also know of course how many people out there love that subdued almond paste flavor. So for me the fact that this isn't something I'd line up for is beside the point. The chocolate is wholly successful. Overall these are some pretty fantastic chocolates. The quality is top notch and I can't remember the last time I has a chocolate ganache filling that was so smooth. You really can't go wrong with these. And while they are boutique French chocolates, thanks to the internets they seem to be available all over the world. Our look at old candy advertizing continues today with a few fun ads I found in some comic books for bubble gum. While I'm not a huge fan of gum now, preferring mints, when I was a kid I loved bubble gum, and not the Doublemint boring kind, I wanted Juicy Fruit, Big Red, Chicklets, or even better Bubbilicious, and Hubba Bubba. Looking back on it I'd say my requirements were twofold: lots of sugar, and bubble blowing potential. Let's have a look at these great ads for Bubble Yum. I just love this ad. Four happy go lucky kids, just hanging out at the park chewing some Bubble Yum. They're white of course, kind of preppy, I especially love the scarf of the girl, and the awesome 80s headband on the other girl. But seriously these kids don't have a care in the world. Probably because they've got NEW Pink Lemonade flavor Bubble Yum. I mean that's probably made their day right there. But that is not all by a longshot, this is my favorite kind of ad, and interactive one! Word jumble = awesome. You've got a jumble and a riddle, its like that bottom section of the newspaper comics with the games that I always want to play but never do. But this one is better because its dead simple, and about Bubble Yum! Ok, lets do it. Yes I see there's an answer key on the bottom, but don't look at that.... hmm.. ok got it. Soft, Smooth, Juicy, Yummy, Pink, Bubbles...and I guess they've got to sday "Its a MOUTHFUL of Yum!" sweet, thanks for playing along. This ad gets top marks all around from me. Yet another fun Bubble Yum ad. I love the purple word balloons, and that its unique in that it puts us in place of the candy clerk. Although, what kind of a jackass working at a candy store eats your gum before you get any?! If I were that kid, I would be pretty peeved off by the end of that ad. Still I like the idea behind the ad, pretty fun stuff. And finally we've got the introduction of another new flavor of Bubble Yum. This time its Wild Cherry. I know Wild Cherry was hot back in the late 80s but I never really got into it. I think maybe that's because I was never a huge cherry fan to start with. It kind of always made me think of medicine. But anyhow, as for this ad its again really a lot of fun. Kids at the Circus having good clean bubble blowing fun. That's something you can't go wrong with, there's even a clown so you know its a great time. I also like that there are 5 flavors, including the always lame (but popular) Sugarless. Where's Pink Lemonade though?! I have a feeling this was a later incarnation of Bubble Yum. Anyhow, a fun time all around with Bubble Yum. These ads we're pulled from What If...? #41, What If...? #37, and What If...? #21 respectively. I've got a few more awesome bubble gum ads to share, so look for more in a part 2 to this post. Until them I think I should try to get some gum...when was the last time you even blew a bubble? Sidestepping the candy aisle today I took a stroll down the ice cream aisle today at my local Target. Let me tell you there are a lot of candy and chocolate bars to be found in ice cream these days. Here's some of what I came across. I don't think these Popsicle flavors would work in regular ice cream but they seem a good fit here. This is a San Francisco delicacy! Ok, so I threw a few others in there too but wow, it's pretty awesome to see so much chocolate and candy in the ice cream aisle! Well, I know I said that Walking the Candy Aisle wouldn't take itself too seriously, but there is a time and a place for everything and even here there is certainly room for a little gravity when the situation calls for it. Today is Earth Day, and I wanted to take a minute to recommend a documentary I recently watched called Chocolate: The Bitter Truth. The film was made in 2010 by the BBC under its 'Panorama Investigations' series and has also aired on CBCs Passionate Eye series. The film takes a look at child labor used in cocoa production, specifically in Ghana and Côte d'Ivoire. It's pretty eye opening to see these kids harvesting cocoa, real honest to goodness slaves. And while the film does talk about the well intentioned work of the Fairtrade Foundation, and the International Cocoa Initiative it also specifically went out to put these standards to the test in the fields traveling to cocoa plantations and investigating for themselves. I've spent some time in West Africa and I know how poor it is. I also have seen first hand how messy trying to clean things up can be. Having worked in development, I've seen how foreign NGOs often end up throwing money at problems in ways that just don't work, there's rampant corruption, little to no financial or practical oversight of development projects, and not a lot of follow through. The problems for these countries, some of the poorest in the world, are often systemic, and despite the best efforts and intentions of a lot of good local and foreign people they are not easily solved. I hate that I'm so jaded to these issues, because I do have hope, but problems like child labor are really complex. 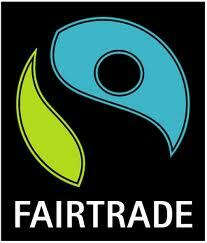 I think I'll start by trying to keep an eye out for the Fairtrade logo on my chocolate from here on out. At least it's something to start with. The documentary is available on YouTube, here is Part 1, followed by links to parts 2 - 5. I'd encourage you to check it out. Another day, another review. Today we're looking at Baby Ruth. For more please check out the written review, or browse the entire Reviews Page.